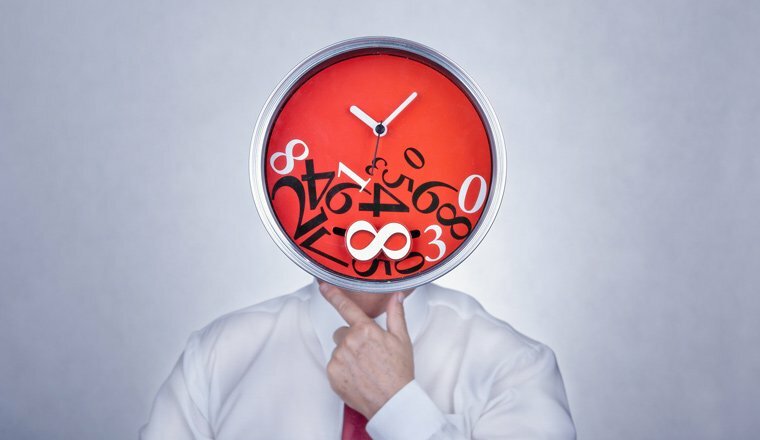 How do I Calculate… Schedule Adherence? In this article we are going to look at the importance of adherence in the contact centre, and how to create a reliable adherence figure. One of the first issues to face when understanding adherence is the number of different terms that are used interchangeably. The amount of time an agent worked which aligned with the time they were scheduled to work. This includes call time, after call wrap, and scheduled activities like meetings and training. The total amount of time an agent was scheduled to work, versus the amount of time they actually worked. Often confused with adherence, this usually refers to compliance with in-house or regulatory requirements, like PCI DSS. Read more about Compliance in the Contact Centre here. The amount of time that agents spend on call handling activities as a proportion of total available time. Unlike adherence and conformance, this measure is usually only applied at the macro level rather than for individual agents. The amount of time that agents spend on call handling activities as a proportion of total scheduled hours. This is also generally applied at the macro level. Read this article for more on the Difference between Occupancy and Utilisation. How does Adherence Differ From Conformance? In this article we are looking at adherence, and by extension, conformance. Broadly, they are both measures of how well an agent is sticking to their schedule, and they are both worth measuring. Let’s take a closer look at the difference, with an agent’s adherence and conformance over a single hour. The agent is supposed to work for the full hour, which is 8:00 until 9:00am. However, they don’t actually start until 8:05, and compensate by working until 9:10. Are they conformant and/or adherent? Conformance looks at the total amount of time the agent worked (65 minutes) and divides that by the total amount of time they were scheduled to work (60 minutes), expressing the result as a percentage. In this example, we can see that not only is the agent conformant, their conformance is over 100% because they worked longer than their shift. But what about their adherence? For this, we first need to know how many of their scheduled minutes they worked. In this case it is 55 minutes. For more tips on improving this by reading this article on Improving Attendance and Adherence. In most contact centres that use a modern WFM system, adherence will be automatically calculated at specific intervals. Without this resource, contact centres can calculate adherence themselves, usually by using data from their ACD. In this example, the agent managed an adherence rate of just over 90%. This data, which relates to a single agent, can be averaged with the adherence figures from all agents to give an adherence figure for the entire contact centre. There is no universally recognised benchmark, but rates between 85-95% are generally considered acceptable. Obviously there does have to be some allowance for factors which are beyond the agents’ control, like calls which overrun into a lunch break. When the contact centre’s average adherence figure is below target, closer analysis is needed to identify the drivers behind this. Within the adherence calculation, sanctioned activities like meetings and coaching are considered adherent when they are carried out during scheduled hours. For more on adherence in the contact centre, read A Beginners Guide to Adherence Management. Most contact centres put a lot of time and effort into forecasting and scheduling, but that doesn’t achieve anything if agents don’t adhere to the schedule. The impact that this can have on KPIs isn’t always clear to agents, or even to planners. 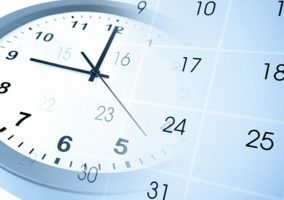 There is a tendency to believe that so long as the correct number of hours are worked in total, it doesn’t matter if they align exactly with the schedule. While it’s true that the impact of one person starting a few minutes late on one occasion will usually be small, there can be major consequences if this habit is widespread. If we consider a hypothetical contact centre, receiving 400 calls over thirty minutes (with an AHT of 240 seconds), we can quickly see the impact of even a few agents failing to adhere to their schedule. By the time five agents are missing, ASA has gone from around ten seconds to over one and a half minutes, seriously damaging the customer experience. We can also see occupancy rising from a reasonably healthy 88%, to an unsustainable 96%, making life very difficult for the remaining agents. These figures can also carry a substantial financial implication. 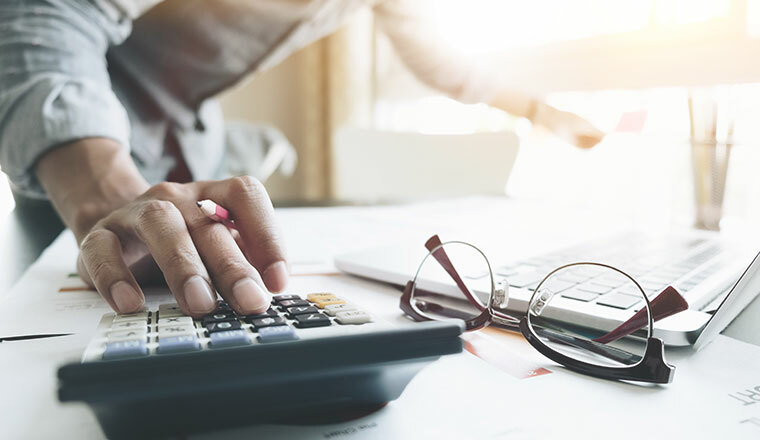 Some estimations indicate the annual cost for non-adherence of ten minutes per agent per day is about the same as the agent wage bill for a full week. This estimation is highly elastic and depends largely on the variability of contact volume for the centre. Nonetheless a financial penalty, on top of the staff and customer experience issues, makes a strong case for tight adherence monitoring. The use of technology can help prevent these issues. If improving adherence figures across the contact centre becomes a key target, managers and planners will need to identify the drivers that are keeping adherence down. One of the most common explanations given by agents is that calls routinely begin just short of scheduled breaks. This doubtless happens on a regular basis, but to get an idea of how big an issue it really is, planners need only look at their AHT. If AHT is less than the average deviation from adherence, the explanation does not meet with the reality. 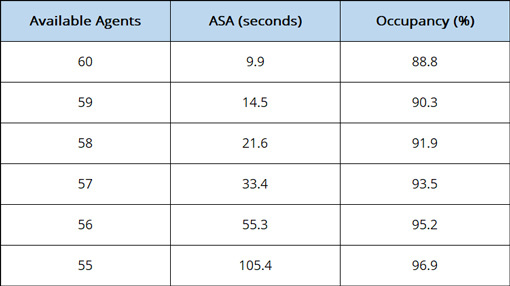 Some analysis has shown that, based on agent working patterns, supposed last minute inbound calls occur more frequently around break times than around the end of shifts. This suggests that a certain amount of deliberate manipulation is involved, to get preferred break times. To prevent this, some contact centres adapt the way they allot breaks time. For example, in a team of eight people there is need for 120 minutes of morning break time – fifteen minutes each. But rather than scheduling exactly which fifteen minutes they get, the entire team can be given a block of time in which each of them must take their break. This can be controlled through something as simple as a laminated break card that the agent hangs over their computer monitor, and which gets passed to the next agent afterwards. All that’s required is trust – the agents need to organise between themselves who is taking their break next. For more advice on dealing with breaks, take a look at this article for The Best Ways to Deal with Lunch and Tea Break Requests. Many contact centre use a variety of separate computer systems that the agent must open, while also logging in to systems like the ACD. This sometimes takes up to ten minutes, meaning the agent will either need to arrive early or start taking calls ten minutes late. We’ve already seen examples of the impact ten minutes out of adherence can have, and this effect will be compounded if multiple individuals are starting their shifts at the same time. While some agents will voluntarily arrive early to compensate for this, many won’t. As businesses cannot reasonably ask their staff to set up before their shift, there are really only two options. The first is an expensive upgrade of computer systems, aimed at ensuring the login process is as fast as possible. The second is to build ten minutes – or however much time is needed – into the beginning of shifts with the knowledge that staff probably won’t be able to handle calls in that time. For pointers on What to Look for When Buying an Agent Desktop, read this article. As we’ve discussed already, agents may not be aware of what goes into scheduling. Building this kind of information into training is likely to have a large benefit, as well as making proper adherence monitoring a part of regular performance reviews. In particular, explaining the impact that low adherence has on colleagues is an effective way of changing behaviours. If adherence is going to become a part of their performance review, it’s important to set realistic targets. Anything above 95% is very unlikely unless the contact centre has extremely consistent volume and AHT. The golden rule with staff incentives is, don’t punish or reward staff for elements that are beyond their control. You can help your staff adherence by taking steps to avoid schedule dissatisfaction. Some non-adherence is inevitable, and it just might not always be worth the trouble to target the final intractable 5%. It may be preferable to aim for a reasonable target – say 90% – and not push too hard to exceed it. This allows for the reasonable issues that agents face, and doesn’t penalise them for elements beyond their control. When adopting this approach, it’s important that managers look out for individual abuse. If there is 10% variability up for grabs – and that fact becomes known – there may well be staff who use it to their advantage. Given that there are a number of situations where an agent might not be adherent, it can help to look at exactly when their non-adherence is happening. Obviously routine lateness for a shift is highly problematic, and should be subject to conventional disciplinary procedures. If breaks are out of alignment, how much and how regularly? Are their breaks too long, or are they early or late? This is where conformance data, combined with adherence, is the most useful. Managers should look out for patterns, and try to find out if there are regular problems that the agents is facing. They need to revisit their shift timing, or they might have other obligations like childcare. Even though contact centre performance is very closely monitored, in large centres agents can feel somewhat invisible. It helps to reinforce from the beginning that their performance is important, and that it is something that you keep up to date with. ACD auxiliary codes are the best way to keep track of adherence outside of specific WFM packages. To get the best possible breakdown of agent activity, deploy separate codes for available, after-call wrap, break time, lunch time, and schedule time away from the phone. If this is new to the contact centre, it is important to lay out the benefits for the agents. Otherwise, it can seem invasive. For ways to improve your schedule adherence, read this article.